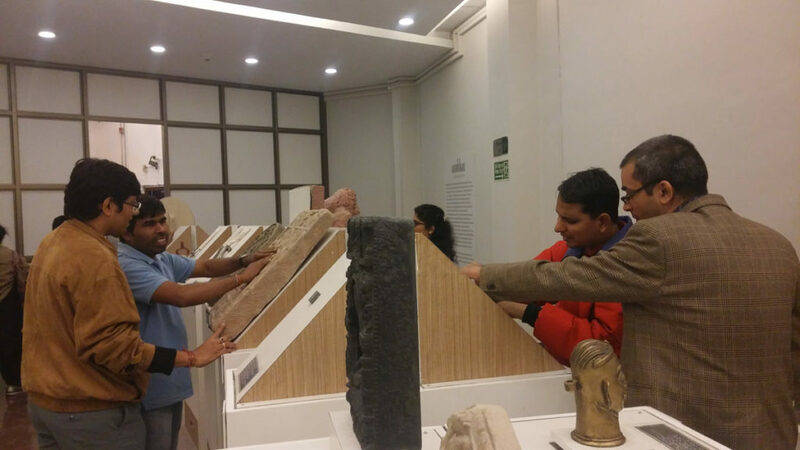 ‘Accessibility consultant’ Siddhant Shah works to make cultural heritage sites accessible to all. Mumbai-based heritage architect Siddhant Shah has long been concerned with the concept of inclusivity. Calling himself an ‘accessibility consultant’, Shah works inside the spaces of museums, heritage sites and monuments to achieve optimal levels of accessibility. Pushing beyond the level of simple physical interventions, Shah has dedicated himself to bridging the gap between disability and cultural heritage through physical, intellectual and social accessibility. Through his organisation Access for All, Shah works in various public spaces to achieve peak accessibility which, for him, is inextricably linked to a visitor’s overall experience. Font size, colour and caption placement can affect the way visitors experience an exhibition the same way that the prioritising of a certain language within a space can. Simplifying these aspects would drastically alter visitors’ experiences. Particularly, visitors with physical disabilities like visual or motor impairment – undermining the notion that accessibility relates solely to physical design. Shah is engaged in varying and innovative means of widening the global scope of accessibility of cultural spaces. 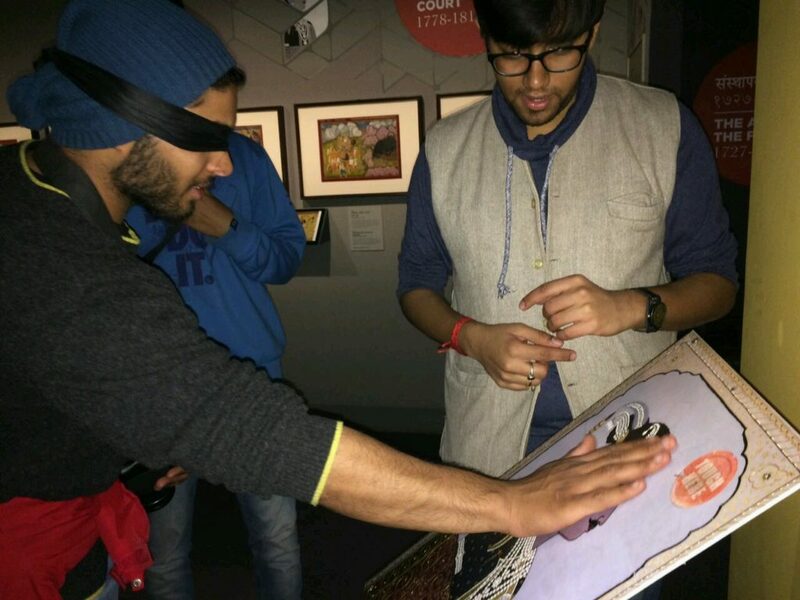 He has worked on tactile reproductions and Braille captions of the artworks in New Delhi’s National Museum and in 2016, he co-authored India’s first Open Braille guidebook with a large script font and tactile plates for the Jaipur City Palace. Shah has also been involved in the conceptualisation of tactile experiential programme, ‘Senses’ – part of the 2016 Serendipity Arts Festival in Goa. 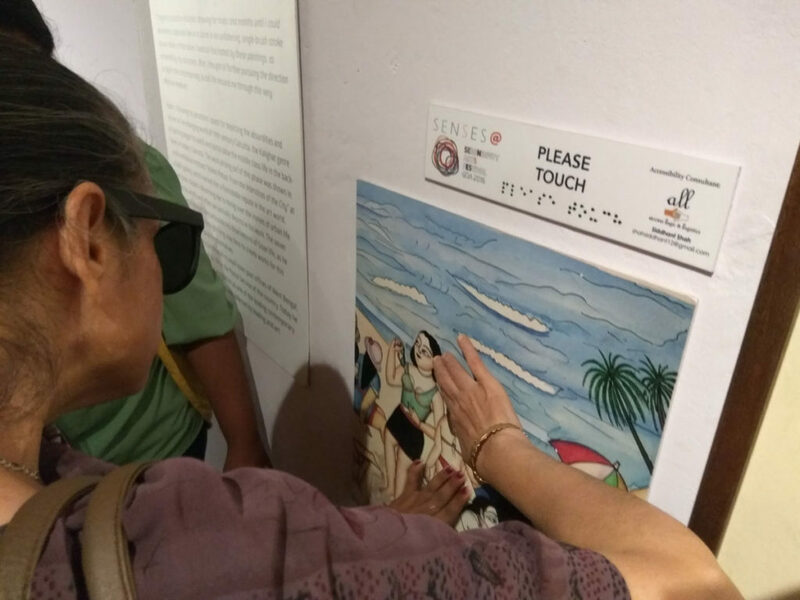 Designed to enable the visually-impaired to get a sense of the exhibits found in the Adil Shah palace in Panaji, physical maps, braille books, tactile reproductions of artworks on display and braille-equipped signage all formed part of the unique exercise. Confident that many issues of access can be solved in a cost-effective manner if planned and strategized well, one of Shah’s biggest challenges is fighting the misconception that it would be an expensive practise. Undaunted, he continues to work on demonstrating how just simple these alterations can be and pushing for a greater understanding of unmitigated accessibility. To keep up with Shah’s work visit the website for Access for All here.